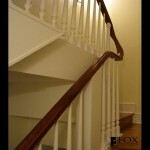 This sapele turnout can be found in the living room of a home near Rittenhouse Square in Philadelphia. 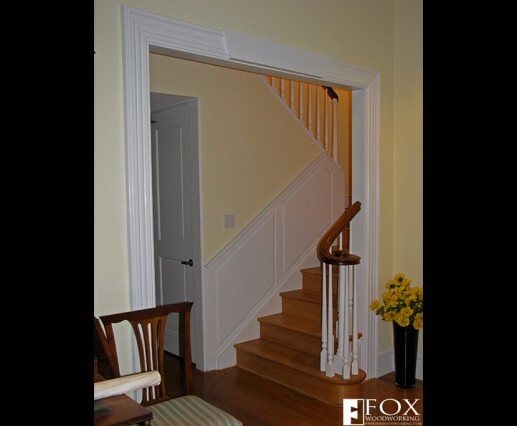 This was a simple stairway with drywall walls and wall caps serving as the handrails. 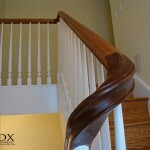 We created and installed this first flight of stairs with the extra long first tread and sapele turnout or volute. 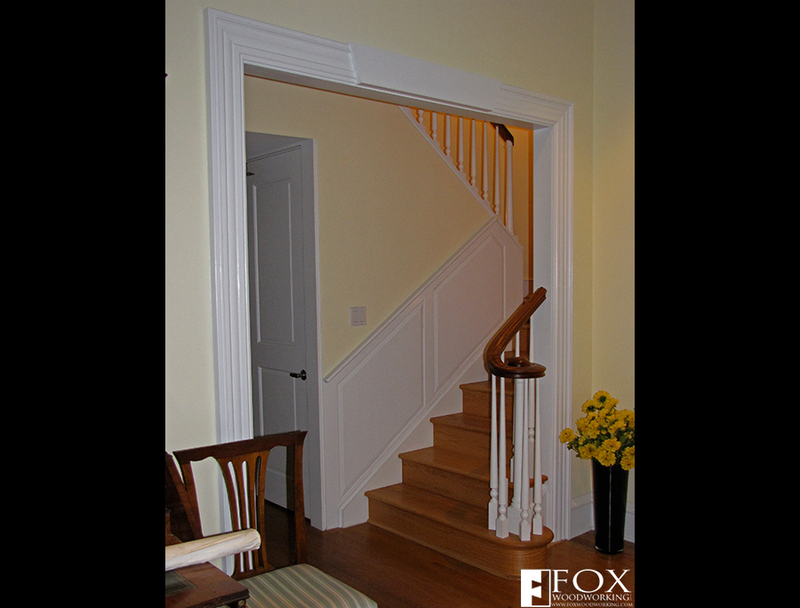 We also made the raised panel wainscot that runs up the wall.